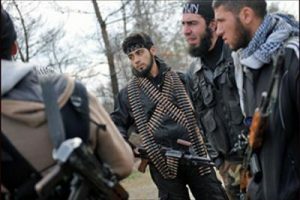 A report issued last week by the United Nations Office of Counter-Terrorism (UNOCT) showed that a number of “disillusioned and disappointed” foreign terrorist fighters left Syria and returned to their countries of origin, when they found that the groups they joined hardly make good on their promises, except promise of death and destruction. The authors of the report, based on direct interviews with 43 fighters from 12 nationalities in seven countries, believe that despite some shortcomings – such as the small sample size – the survey remains a useful tool for Member States that wish to get to grips with the phenomenon of foreign terrorist fighters, develop their capacities to deal with it, and design more effective policies and programs to stem the flow and facilitate the effective reintegration of returnees. The document, which looked into the economic, social and educational background of the interviewed foreign fighters, states that most of them “come from communities in poor urban areas or on the periphery of cities that are somewhat removed from the main centers of commercial activity”. “In these areas, youth share similarly low educational levels, poor job prospects, little hope for change, and limited opportunity for social or economic mobility”. This survey also suggests that friendship circles and social networks are the most dynamic and powerful mechanism through which recruitment occurs, with the Internet playing a far less significant role as an independent source of radicalization than is generally assumed, and certainly a far less significant role than real life contact. The study cites the ailments that nurture the feelings of despair, resentment, and animosity towards the government and that provide fertile ground for the terrorist recruiter, “especially when the vision of a new life is presented as almost effortlessly attainable”. Yet, the armed groups in Syria ultimately provide no positive outcomes to the youth they recruit. They hardly deliver on any of their promises, except the promise of death and destruction, both for its recruits and for the Muslim communities it claims to defend, the report says. While the risk presented by returning foreign terrorist fighters is a real one, it should not be exaggerated, the report says, adding that “a practical, effective and proportionate response should start from a sound understanding of the root causes of the problem”.